This was first featured on Space Wolves Blog in 2010 which is now lost to the warp. In an effort to retain the information we have republished it here. The points values have not been updated to the current codex yet. Skyclaws are Blood Claws equipped with Jump Packs. It seems that Blood Claws aren’t so popular as troops, so the Space Wolves organised them to fill all the Fast Attack choices, which works for me! Skyclaws take the ferocity of Blood Claws and make it a little more uncontrollable, because no one from the Wolf Guard is will to lead them. So this makes things a little bit awkward due to the Headstrong rules. It also means that Skyclaws cannot enjoy the cheap Powerfist with lots of attacks that Swiftclaw, Blood Claw and Grey Hunter squads can enjoy. 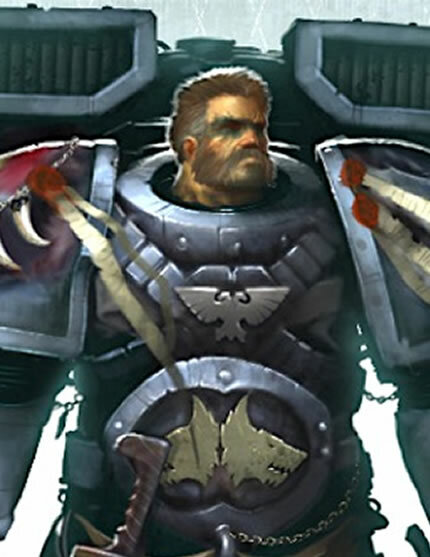 The only answer is to have them led by an Independent Character and when Skyclaws are in fact Blood Claws with jump packs, there’s only one man who can get the most out of them and that’s a Wolf Priest. 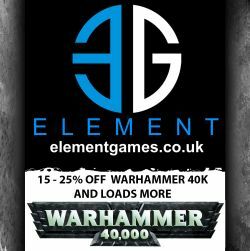 Fortunately in the latest Space Wolves Codex, all Characters now have access to jump packs, despite it being very out of character for the Space Marine Chapter. Skyclaw packs are formed from headstrong trouble makers in the Blood Claws. 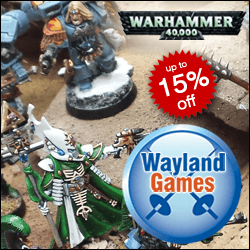 However, this ‘reward’ is seen as a rather dubious honour by older Space Wolves, not because membership to the Skyclaws almost certainly guarantees a quick and violent death, but because if fighting on foot was good enough for their Primarch, its good enough for them too! Many Space Wolves players feel the same, but when you considering that some of the Space Wolves now ride gigantic wolves into battle, wearing jump packs doesn’t seem quite so radical. Plasma Pistol – Too expensive! Powerfist – You need it, so take it! Mark of the Wulfen – Awesome! This is a mirror image of what my friend James runs in his Dark Angels army, which is a chaplain with melta bombs leading a 10-man assault squad led by a veteran sergeant with a Power Fist. It’s an absolutely lethal unit that can take lots of casualties and easily tears apart whatever it charges. It’s also great for ‘herding’ enemy units who want to keep away from it! The difference between his assault squad and the Space Wolves Skyclaws is that they get to reroll to hit even if they are charged because of Preferred Enemy. Couple that with Counter Attack and you’ve got an assault unit that doesn’t mind being charged as much. There’s a lot more attacks and with the rerolls the lower Weapon Skill shouldn’t make much of a difference. Plus there’s a melta gun thrown in there for good measure to soften up tougher targets before the charge. His unit comes to 385pts in the Dark Angels Codex. Although it also comes to 335pts in the Space Marines Codex. If you want to match the assault squad from the Space Marine Codex for points, you need to strip this down to the bare essentials. As you can see, for the same points you get a unit with a lower Weapon Skill, but more attacks on the charge, Preferred Enemy and Counter Charge which makes them an all-round more forgiving unit. Maybe Skyclaws aren’t that bad after all? When you compare them to other Space Marine assault squads their value for points really stands out. However, like the Blood Claws, you really need to have them led by a Wolf Priest to make the most of their attacks. Also, if you’re trying to compete on points, then it may be worth dropping one of the Skyclaws and giving another the Mark of the Wulfen to see if the extra attacks and Rending can give you even better value for your points.